I believe in the power of praying in agreement with other believers about specific things based upon the power of God’s Word. Unify with other Christ followers, churches, and ministries with these three prayer priorities for America in December 2017. We are going to be praying for unity in America for the next several months. Yes, we did reveal in November that Pray For America: UNITY is our 2018 theme for the National Day of Prayer. We chose this theme because we believe strongly this is God’s heart. 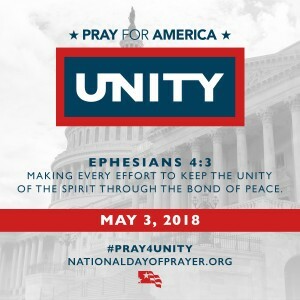 Therefore, from now until and even beyond our Thursday, May 3, 2018, National Day of Prayer, we are going to call for, forward, and pray for unity in America. Father in Heaven, You are the only One who can bring unity, harmony, and oneness in America. We pray and ask You for unity in America. Lord, call the churches of America to live in unity within their own church and in unity with churches that are biblically based and Jesus centered. Jesus, as Your church walks in unity, harmony, and oneness, may Your church personify, lead, and call America to unity. Lord Jesus Christ, in this crisis moment in America, it is incumbent upon each of us to come together for the sake of the gospel, the testimony of the gospel and the advancement of the gospel globally; so God may we make http://cinziamazzamakeup.com/?x=miglior-sito-per-acquistare-viagra-generico-50-mg-a-Bologna EVERY effort. 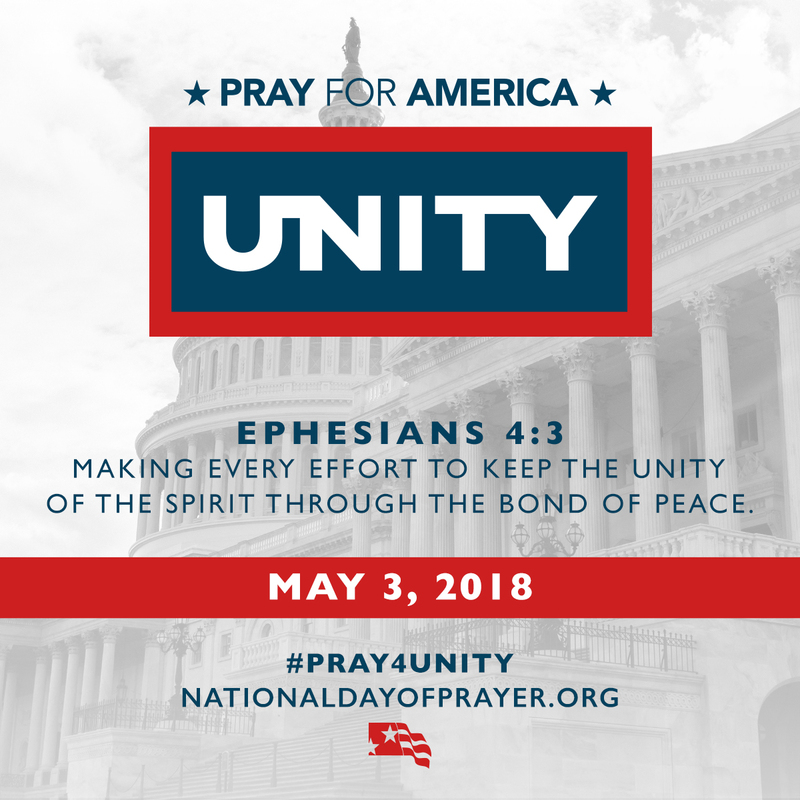 Father, while our nation is filled with so many challenges and division abounds, we will call for and forward the National Day of Prayeron Thursday, May 3, 2018, and #PRAY4UNITY in America. God, use each of us to unify our families, our churches, our workplaces, our communities, our region, our state, and our nation. Father, lead Dr. Ronnie Floyd and the staff team of the National Day of Prayer Task Force as they work toward this pivotal day in our nation, and as they begin to plan for the national observance of the National Day of Prayer in Washington, DC. Lord of all Provision, please meet all the financial needs of the National Day of Prayer. 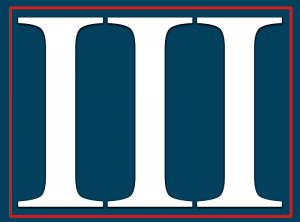 source link 2. TRUST GOD TO LEAD THE LEADERS OF AMERICA THROUGH THESE CRITICAL TIMES OF DECISION MAKING. Lord, we trust You to convict our nation’s leaders of Your desire for them to work together in unity for the well-being of our nation. Sovereign Lord, we appeal to You alone to give our nation a future and a hope. Lord and Defender, we appeal to You to protect the leaders of our nation and their families, as well as the members of our military nationally and globally, and all the first responders in our nation. dove comprare viagra generico 100 mg pagamento online a Venezia 3. BELIEVE GOD FOR HIS SUPERNATURAL INTERVENTION IN OUR NATION ON THE NATIONAL DAY OF PRAYER – MAY 3, 2018. Lord, on this day when millions of people gather in thousands of settings, please listen to our prayers as we seek You with all of our hearts. Father, in these most critical moments in our generation, please call leaders of denominations, churches, government, education, business, cities, and all communities in America to create numerous gatherings that will saturate their regions in prayer for unity in America. Spirit of God, give Dr. Ronnie Floyd and the staff team of the National Day of Prayer Task Force God’s wisdom, power, and leadership to serve these thousands of gatherings. Lord of all Provision, we appeal to You to meet the continual financial needs of the national organization of the National Day of Prayer Task Force. In all humility, I appeal to you to share with friends, pastors, churches, and denominations the need to pray in agreement over these three prayer priorities for America during the month of December.